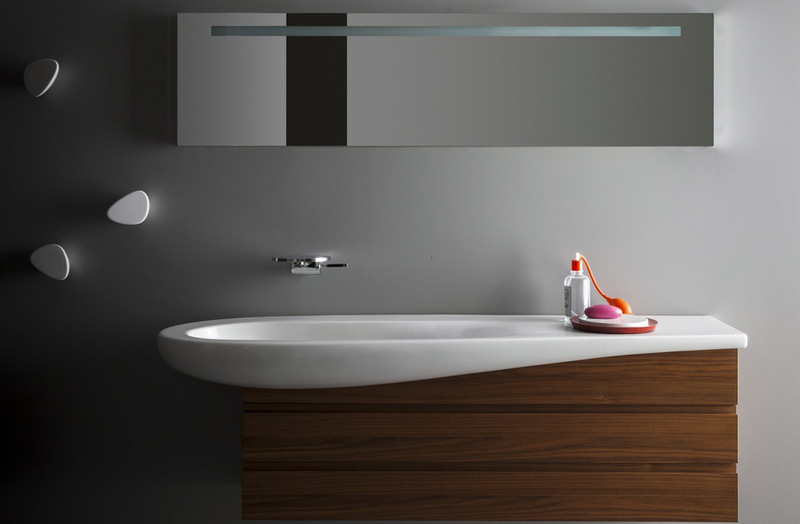 Beauty, craftsmanship and perfection of form: qualities that continue to define Laufen as one of the world’s most desired bathroom brands. One of its most iconic sets, ILBAGNOALESSI One is a bathroom design that has cast its spell over the home design world for years: It is characterised by a timeless form, sparkling imagination and a hint of eccentricity. This design award-winning ensemble is the creation of Italian designer star, Stefano Giovannoni. 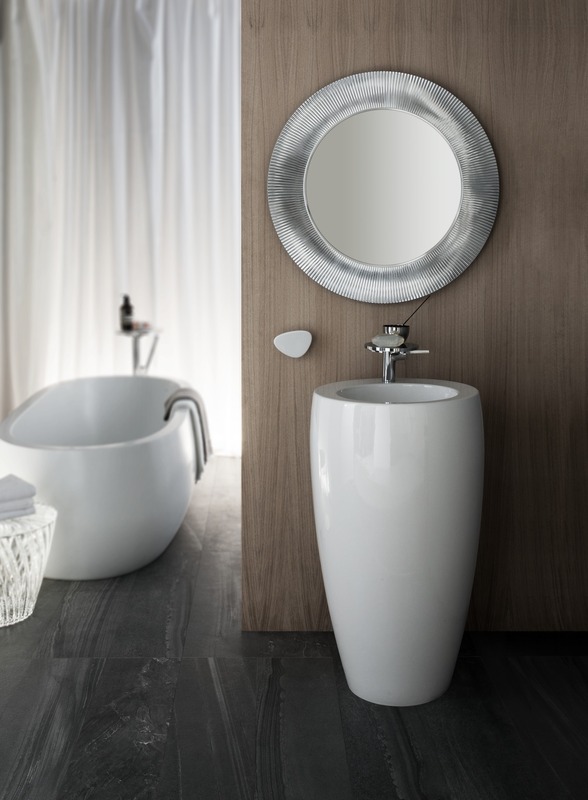 The ceramic elements of a bathroom are regarded as the style-setters of the bathroom – in the case of ILBAGNOALESSI One they play a uniquely dominant role in the bathroom design: the visual anchor and keynote design element of ILBAGNOALESSI One is the floor-standing washbasin, affectionately called Tam-Tam – for its likeness to a drum. Cast in one piece, it encapsulates the technical inner workings in a column. This ceramic object with organic looks oozes sensuousness and is currently one of the most impressive ceramic pieces for the bathroom on the market – with a Design Plus award to prove it. The other washbasins, impressive bathtub and toilets in the ensemble also speak the same sensuous design language – and define a feminine style in the bathroom.